The Metropolitan Transportation Authority last week rolled out a new smartphone app and website that aim to streamline how straphangers plan their commutes. The cellphone-friendly website and "MYmta" app, currently in a beta test phase, show straphangers real-time subway, bus and commuter rail information that has been housed in separate apps. "Right now 65 percent of customers try to touch us for travel information through their mobile phone, and we think that number is just going to be increasing," MTA Managing Director Veronique Hakim said. 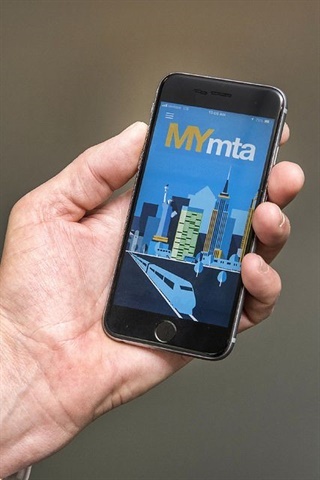 MYmta, currently in a beta test phase, is available for download on Google Play and the Apple App Store. Bus riders in Broome County can now crack open a book while waiting to get off at their stop. County Executive Jason Garnar was at the Hinchey Hub bus station in downtown Binghamton recently to announce the launch of the Ride and Read program. Each BC Transit bus will have a bin of 25 to 30 books that riders can help themselves to, even taking them home to read and share. Transit Commissioner Greg Kilmer says each collection will have a mix of children's books, books for teens and older readers, fiction books, and non-fiction books, in a variety of subjects. The New York State Energy Research and Development Authority (NYSERDA) has announced that up to $5 million is available for proposals that include innovative clean transportation technologies and strategies to improve operations and reduce greenhouse gas emissions for public transit systems throughout the state. The proposals support Governor Andrew M. Cuomo’s clean energy goal to reduce greenhouse gas emissions 40 percent by 2030. Dallas transit riders can do much more than purchase bus or train tickets with the region's GoPass app. Riders can now use it to book a ride with Uber or Lyft, and will soon be able to schedule other modes of getting around, such as renting a bike on one of the city’s five bike-share apps. Massachusetts is raking in money from fees charged to ride-hailing companies such as Uber and Lyft, reflecting an explosion in use of the emerging transportation services. The law signed by Governor Charlie Baker in 2016 regulating smartphone-based transportation companies included a 20 cent per ride fee, half of which is distributed to cities and towns annually based on how many trips originate there. Statewide there were 64.8 million trips last year, according to the Department of Public Utilities. That represents a windfall of more than $12.9 million for cities and towns. More than half of the trips — or 34.9 million — originated in Boston. The city collected more than $3.4 million in fees. You won't want to miss this first session of our Maintenance and Operations track!